What are the best power plans for student flats? Comments Off on What are the best power plans for student flats? Flatting with a group of like-minded people can be a fun time, especially if you are all studying. With more New Zealanders choosing to continue renting, rather than owning their own home, flatting continues to be a popular choice for many Kiwis – even after their student days are over. But while having flatmates can mean a lot of good company, paying the bills is always the least fun part. Power can be one of the more difficult bills to manage because of winter and summer fluctuations, and the fact it is usually the largest utility bill. It pays to study the options to find the right arrangement for your flat. How can students avoid high power bills? Utilities Disputes commissioner Nanette Moreau says students need to not get stung with high power bills by ensuring they’re not paying for someone else’s power. Moreau encourages anyone moving into a new flat to find the power meter and take a photo of the numbers, to ensure there is a record of when the new account should start. The flatmates can then contact an electricity provider to set up a new account. Cold student flats with mould and no heating can also be the stuff of nightmares, so it pays to find the best electric heater for your flat, rather than turning the heating off entirely. 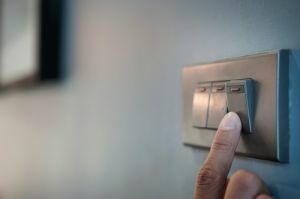 However, any energy that you can save will reduce your power bill, so it is best to get smart about your electricity use: turning off lights when they are not needed, having shorter showers and turning electronic equipment off at the wall can all make a difference. Every little bit counts. Electricity retailers’ break fees can sting if you get landed with them. Let’s be honest, student flats are lucky to stay together for two semesters, let alone for one year or two. For this reason, it is best to hunt out flexible power plans from the start, so you will not face any break-up fees when things change or the year is over. 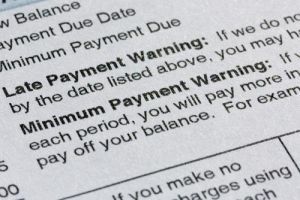 Late payment fees can also be quite painful, but the worst fee can be for reconnection if the flat has missed several power bills and been disconnected. Avoid these extra costs by getting the whole flat to agree in writing how the bills will be paid. A joint account that everyone pays into, which has automatic payments to the power company, is one way to ensure you don’t miss a payment. Another good option for flats is prepaid power, which allows customers to pay as they go rather than getting a shocking bill at the end of the month. Prepaid power encourages customers to monitor their power use, usually through an app. What are the top power plans for flats? Powershop, a subsidiary of Meridian Energy, offer customers the choice of buying bundles of power, called Powerpacks. Powerpacks allow customers the chance to top-up any time, buy power to be used at a future time or buy savings packs to take advantage of limited-time low rates. Powershop offers great flexibility that would suit a flat, as long as at least one person is prepared to monitor their power use and buy Powerpacks, which can be done online or through the app. It would allow flatmates to pay a set amount each payday, which could be used to buy powerpacks either immediately or for the future. There are no fees for topping up and no fixed-term contracts, although there is a credit check done during sign-up. Electric Kiwi touts itself as an affordable and flexible electricity retailer, offering “everyday low prices” and guaranteed savings. Electric Kiwi does not have contracts to sign up to, so there are no sign-up or break-up fees – perfect for any flat. An app makes it easy to analyse power use, view bills and make updates. One of Electric Kiwi’s features sure to excite students is its free “hour of power”. Customers can nominate one hour during off-peak times when they will receive free electricity. The times are 9am to 5pm – when students could be at home studying, or 9pm to 7am – which is great for students burning the midnight oil or up late letting off steam. The free hour of power can be used for anything, including high-use appliances. Flick Electric touts itself as being “totally different” to other electricity retailers. While most retailers charge a fixed price for electricity which incorporates profit margins, Flick Electric passes on the wholesale price of electricity and makes its revenue through a daily fixed retailer charge. The wholesale price, or spot price, tends to be a lot more in peak times – when families are getting ready to go to work and school or cooking dinner in the evenings – and is cheaper in off-peak times. For students – who tend to use a lot of their power in non-peak times – this is good news, as it means cheaper power will be available when they are using it. Flick Electric also offers live price alerts on spot prices and weekly billing to keep bills manageable. Out of customer demand, Flick has now introduced Fixie, which offers a fixed generation price for six months. Customers on Fixie can still access changes to network pricing throughout the day, if they are in an area where the network charges less for off-peak power use. Customers have to sign up to Fixie for six months but the break fee reflects how long the customer has been on the plan. The break fee is $10 for every month left on the term (a maximum of $60). Globug is one of the best know prepaid power companies, letting customers pay their power bills as they go. Using a prepaid company like Globug can make it easy for flats to manage their power use and electricity spending. Flatties can monitor their accounts and top-up online, through the Globug app, or using a top-up card in stores. The bonuses for flats is that Globug offers no contracts, no bonds and no credit checks. If customers are disconnected due to low credit balance, reconnection is free. However, customers need to be aware of Globug’s other fees. The company charges for each top-up: 20c for internet banking on the Globug app or website, 40c for debit or credit card top-up and 75c in store. It also charges 20c each account balance text. Other charges include $35 to close an account. Contact Energy is an integrated electricity retailer and generator, as well as a home internet supplier. It has a number of different plans on offer, with a couple that are perfect for student flats. Contact’s Promise plan gives customers $50 off their energy bills twice a year for up to two years, but there are no break-up fees or requirements to pay this money back, if the flat breaks up sooner than this. There are also fixed rates until the end of the plan and discounts of up to 24% for those who pay their bill on time, use direct debit and also have gas and broadband with Contact. Contact Energy also offers its customers the choice of prepaid power. However, these customers have to have a special PrePower meter fitted in their house, at a cost of up to $140 to install and remove. Customers also need permission from their landlord to have the meter installed. Energy Online promotes itself as an affordable and easy-to-understand electricity company – which is great news for flatties. Energy Online offers new electricity customers $50 credit when they join up and an additional $50 if they add natural gas. It also offers a 20% prompt payment discount for customers who pay their bill on time and in full. Energy Online does not have fixed-term contracts or exit fees, so customers are free to leave at any time, if the flat breaks up or circumstances change. Agree with your flatmates how you will pay your power bills, including if you have a nominated account. Get this in writing in case there are any problems. Keep account details up-to-date, such as if people move out or someone new moves in. If this is not done, the account holder remains responsible for paying the bills, even if they are not living at the flat. Read your first bill carefully, comparing any power readings with your records (the photo you took of the meter at the start). Contact your electricity retailer if you have questions. When you move out of a flat, take a photo of the meter display and call your provider to close the account.